The Santa Clara County Fire Department had its Verizon wireless access throttled to 0.5% of normal, in the midst of its fight against the California wildfires; Verizon said that the firefighters had been using too much bandwidth while they risked their lives racing to save the county from being engulfed in flames. Verizon demanded significant cash payment to restore the firefighters' service and would not do so until the paperwork had been signed. The action by Verizon has been appended to the states' lawsuit against the FCC over its dismantling of Net Neutrality rules. 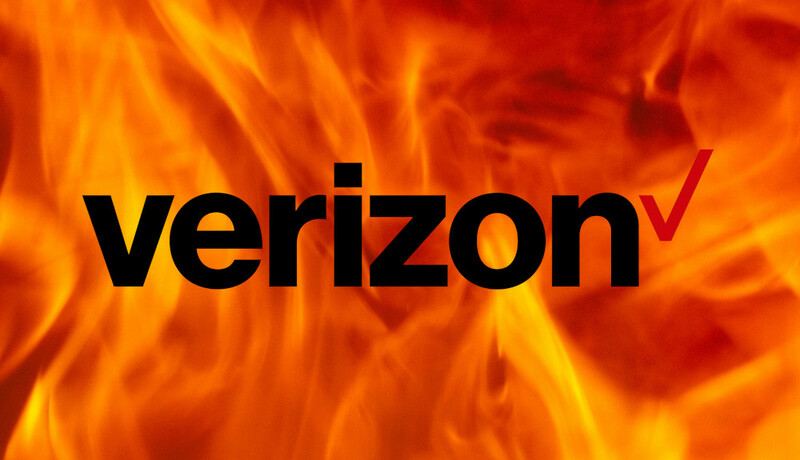 The fire department says that the delay created by Verizon's demand put lives at risk. Verizon has apologized, saying it mishandled the incident.